When the Fendt brothers, together with their father Johann Georg in one forge, began to make tractors, they did not even know about the big changes that tractor technologies will have to pass in this century. The direction was definitely from the very beginning: New technical solutions, economy and reliability should convince customers. So in 1930 there was the first European small tractor with 6 hp, with a hinged plow and a mower independent of the running gear. For the first time, small and medium-sized peasant farms could afford to replace the horse. His name was the program: Fendt-Dieselrow. The firm Xaver Fendt & Co. In 1937 on December 31 was entered in the register of trading firms in Kempten. In 1938 the 1000th tractor "Dieselross", type F 18 with 16 hp was produced. With the Dieselstrass tractor F 22 in 1938, Fendt introduced, already a number of distinctive tractor features of the 50's: a two-cylinder engine, a radiator and a gearbox with 4 high-speed gears. In 1942, the restriction on diesel fuel and the ban on the use of diesel tractors led to the development of tractors with a power of 25 hp, with a gas generator running on wood fuel. After the Second World War, the enterprise began to grow rapidly under the guidance of the brothers Hermann, Xaver and Paul Fendt. In 1952, Dieselstrass F 12 L with a capacity of 12 hp was introduced, which since 1953 entered the mass serial production. In 1953, the market appeared self-propelled chassis Fendt capacity of 12 hp. With the possibility of mounting guns in four places, he in 1959 received the highest recognition of DLG for the ingenious system "Einmann (one person)", where one person could independently perform all the processes. Favorit 1, promising in shape and technical equipment, such as an engine -40 hp And a multi-speed soft-speed gearbox, was produced in 1958. 1961 - 100,000th Fendt, "Farmer 2" with a capacity of 30 hp, was completed. Particularly successfully developed self-propelled chassis, a mechanized system from sowing to harvesting, to date they have sold 60,000 pieces. A new segment of the market was opened in 1976, represented by a large Favorit tractor up to 150 hp. In 1980, Fendt introduced the Farmer 300 series tractor on the market, with a technical innovation like 40 km / h and a rubberized cab, made an important contribution to the success of the market in recent years. "Who sees better, can work better"; On this principle in 1984, Fendt produced a 380 GTA tractor - an original tractor without a motor hood. Its secret is a brilliant concept with an engine located under the floor of the body. 1985 - Fendt became the market leader in Germany for the first time. In 1987, the series 200 is produced with power from 70 to 75 hp. Characterized by high-tech technology of compact tractors. This tractor is used as a standard or special tractor in fruit growing and grapes cultivation. The Favorit 500 Series C (95 to 140 hp) - introduced in 1994 - integrates such distinctive features as 50 km / h, amortization and Turboshift in the middle class; Clients and a wide range of specialists were delighted. The promising system vehicle Xylon (110 to 140 hp) comes out in 1995. A universally applied machine in agriculture, landscape care and utilities. 1996: Vario 926 with 260 hp, the world's first large tractor with Vario infinitely variable transmission from Fendt. Revolution in the production of gearboxes. 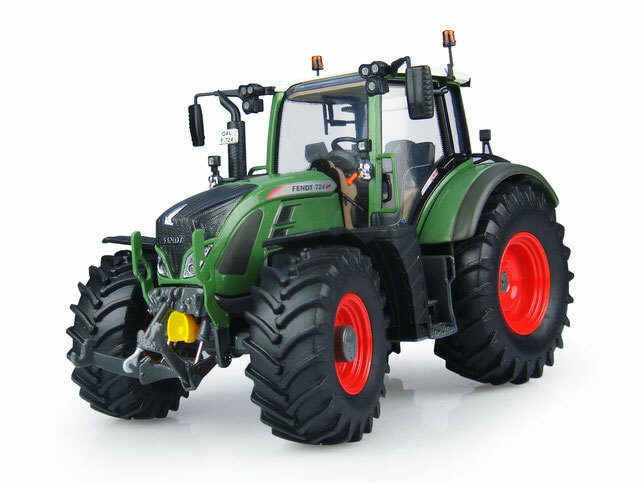 In 1997, as the leading brand of high technology and quality, Fendt became part of the world-wide operating AGCO group. Fendt in 1997 with a series Favorit presents the program - Vario from 170 to 260 hp with stepless drive technology. 1997: Introduction of a new generation of Farmer 300 C tractors from 75 to 95 hp. 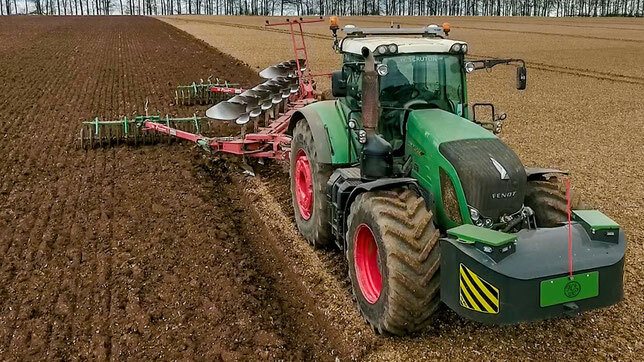 With the introduction of the new Vario Favorit 700 series with a capacity of 140 and 160 hp, in 1998 Fendt again introduced a new evaluation criteria for the future. Innovative service system - Fendt-Variotronic, receives international recognition. 1998: Model 380 GTA-Turbo with 95 c.L. And 370 GTA with 75 hp. Is the original free-sight tractor. 2001: New in the Fendt program - 300 C, from 75 to 100 hp. 2005: the exhibition "Agritechnica" is held under the sign of 936 Vario with a power of 360 hp. With a maximum speed of 60 km / h, and a new 312 Vario. Tractor Dieselross turns 75 years old. 2006: five new Vario models are presented, totaling 21 new models ranging from 95 to 360 hp. 2007: Fendt presented at the Agritechnica exhibition a design study of a high-performance TRISIX vehicle. In addition, there was also a presentation of a tractor operating on rapeseed oil and a new front loader Fendt CARGO. 2008: at the open day in Vadenbrunn, Fendt introduced 11 new models of combine harvesters, including a rotary combine with a capacity of 459 hp. With the largest rotor in the industry. 2009: at the SIMA exhibition in Paris, for the first time, new specialized Fendt tractors were introduced: the 200 Vario V / F / P range with stepless drive. At the Agritechnica exhibition, Fendt introduced the 200 Vario, the new 800 Vario, the newly developed Variotronic electronics concept, and the Fendt Hybrid hybrid harvester. This year we also celebrated the release of the 100,000th Vario gearbox, as well as the complete completion of the entire production line of the Vario family. The anniversary was held under the motto "until today - 100 000 Vario, and now - 100% Vario".